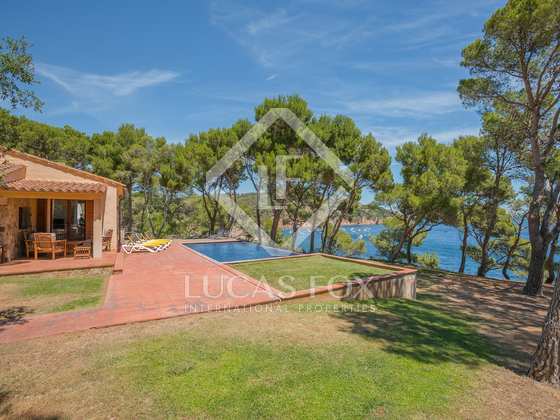 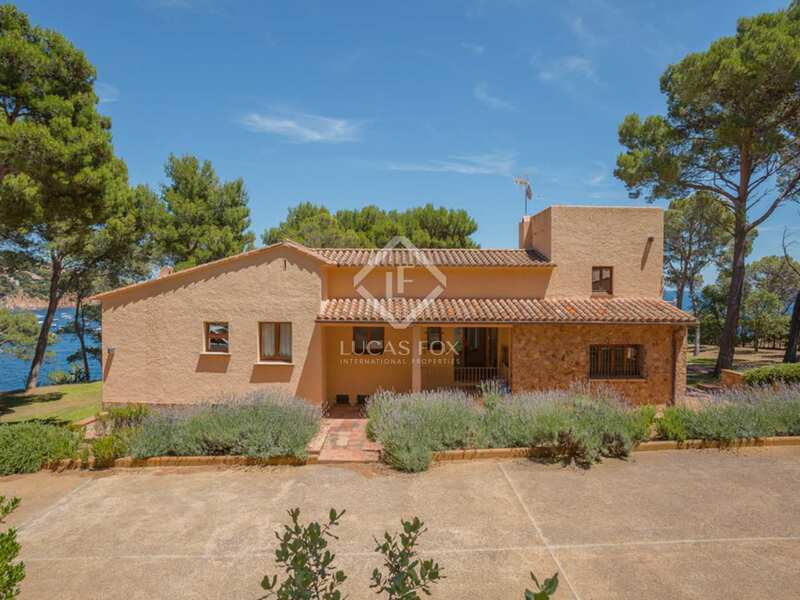 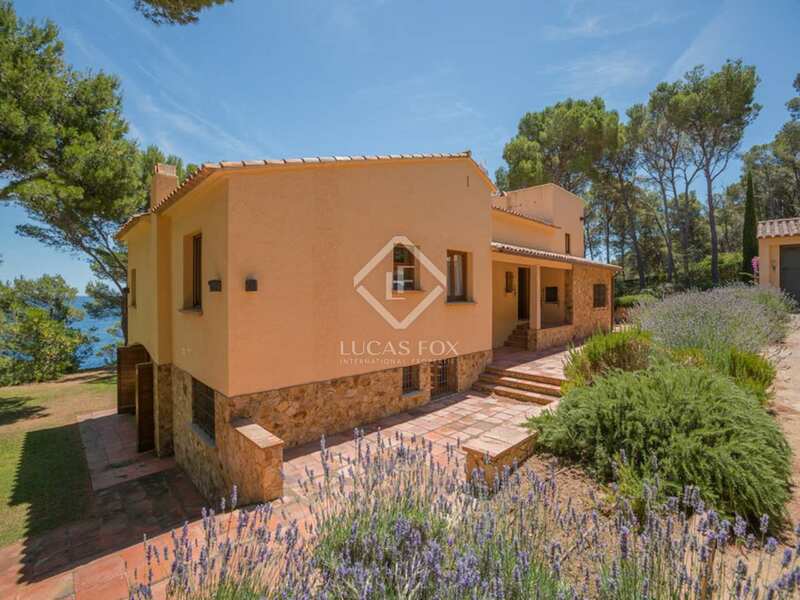 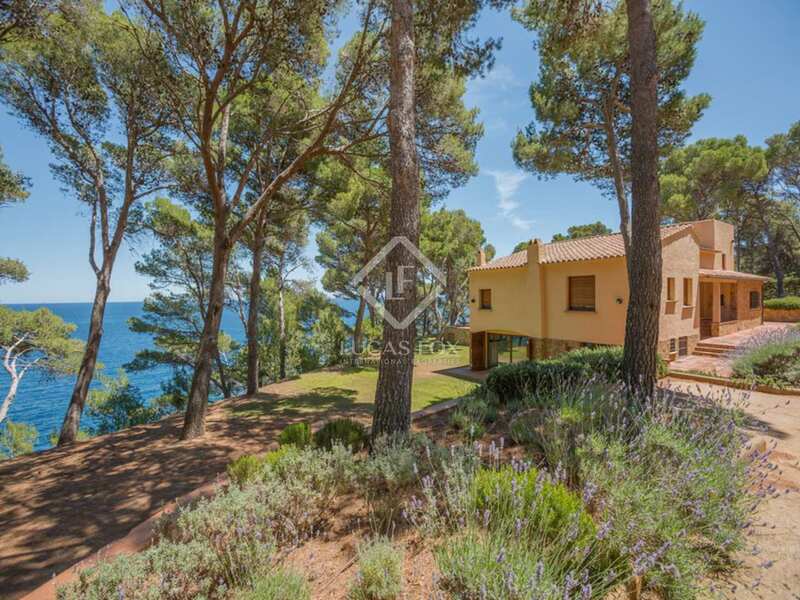 A first line Costa Brava property for sale boasting exceptional sea views and situated on a large plot of over 1ha of private land within a few minutes walk of the lovely bay of Tamariu. 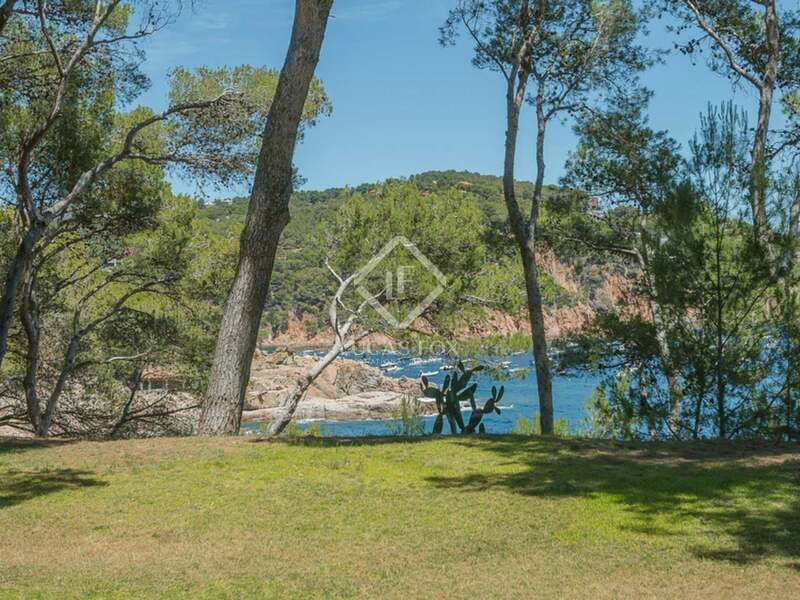 This spectacular seafront Tamariu property for sale is located in one of the Costa Brava's most picturesque and prestigious areas and boasts one of the largest first line plots in the region. 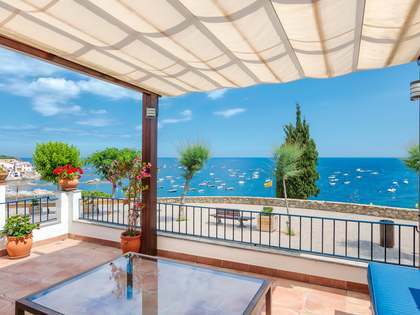 The charming seaside village of Tamariu is just a 800m walk away along the stunning coastal path. 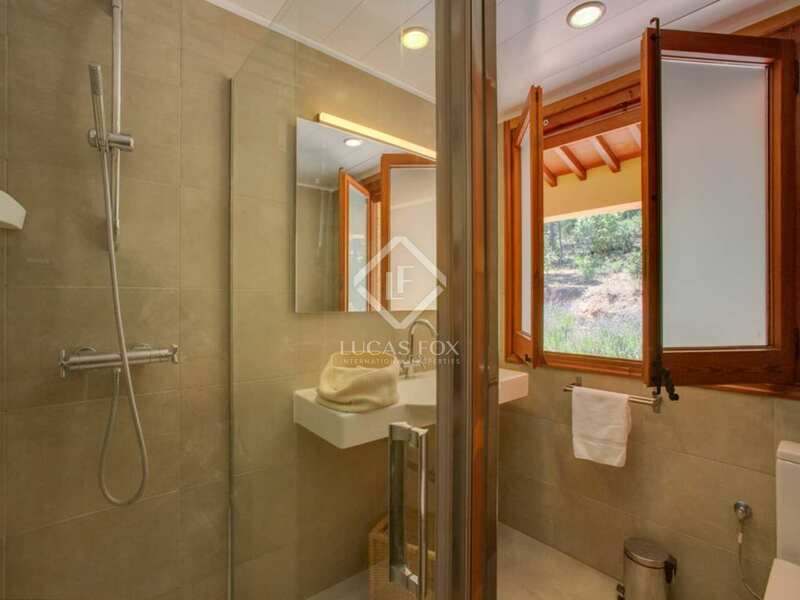 The property was built in 1970 and was fully renovated and updated by the current owners in 2005. 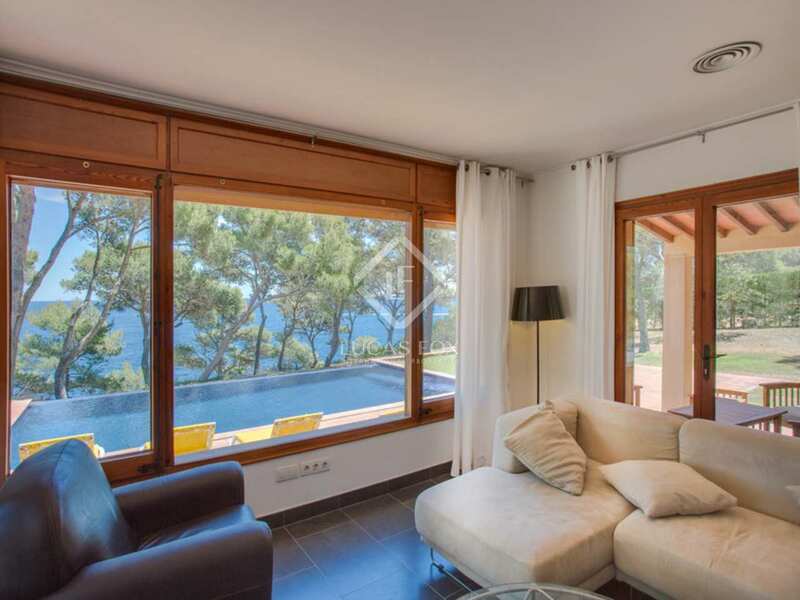 It is distributed over 3 levels offering 5 bedrooms and breathtaking sea views. 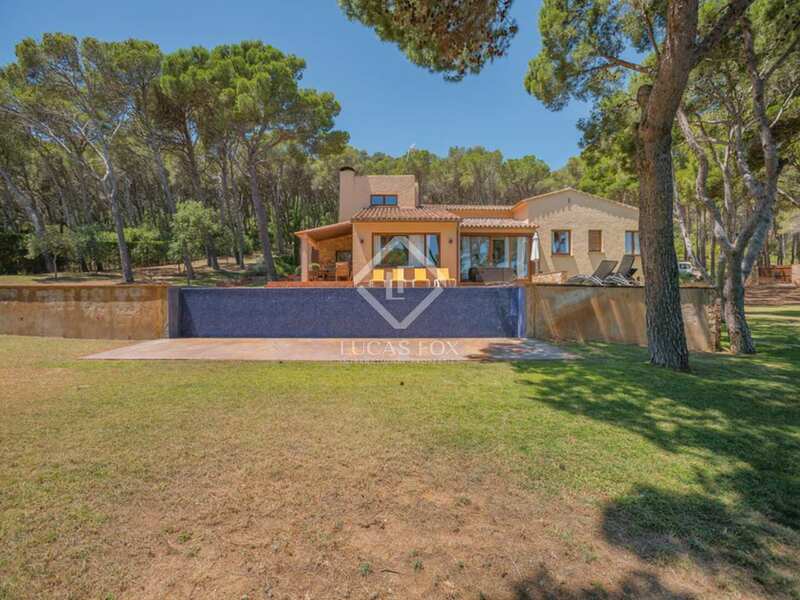 The villa boasts a private infinity swimming pool and is surrounded by extensive gardens with several open and covered terraces. 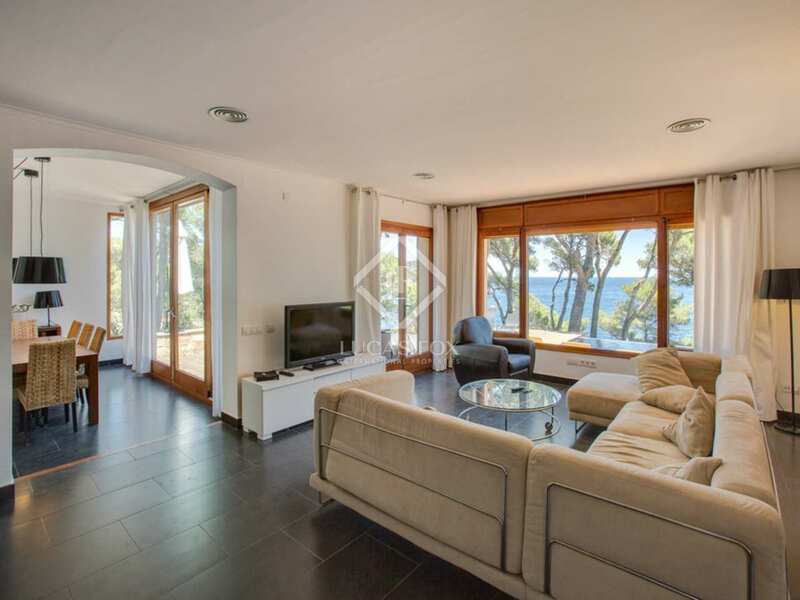 The ground floor comprises a spacious living room, a dining room with views over the swimming pool, a fully renovated family kitchen, three double bedrooms each with en-suite bathroom and a single bedroom. 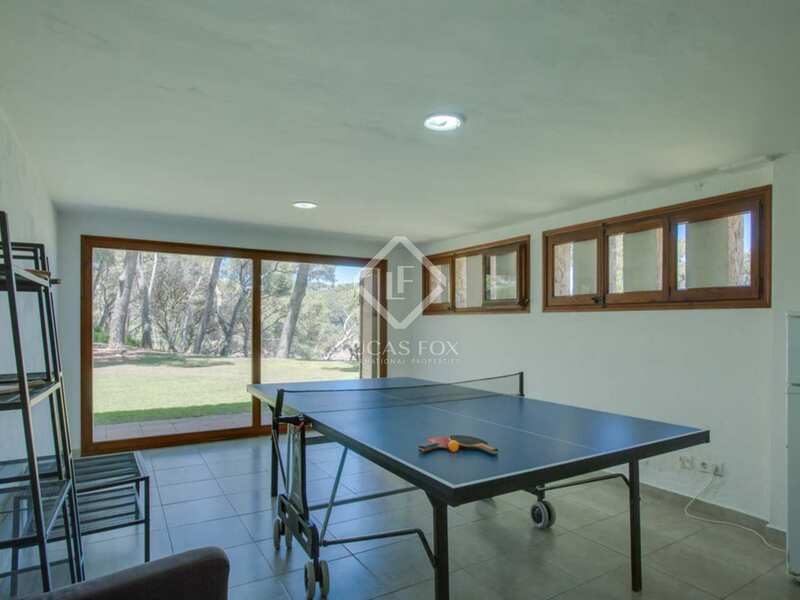 The lower level offers service accommodation, the utility room and a large games room (previously the garage). 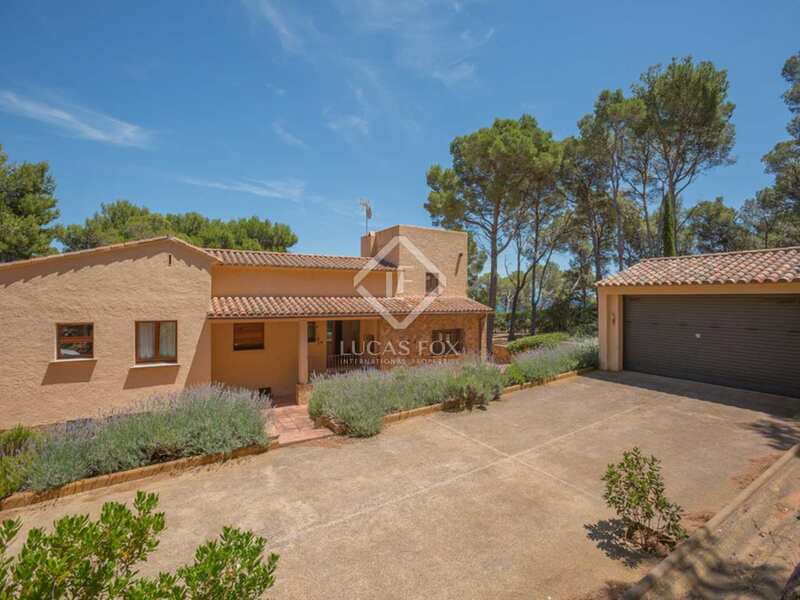 There is also an independent garage for two cars. 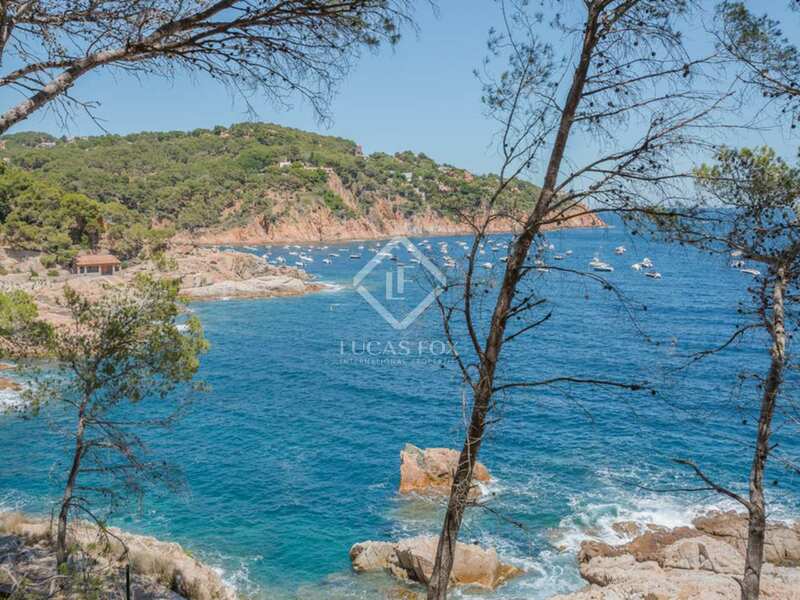 This is a great opportunity to acquire a first line property in one of the Costa Brava's most treasured areas and must be seen. 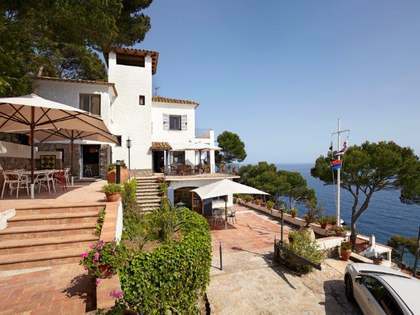 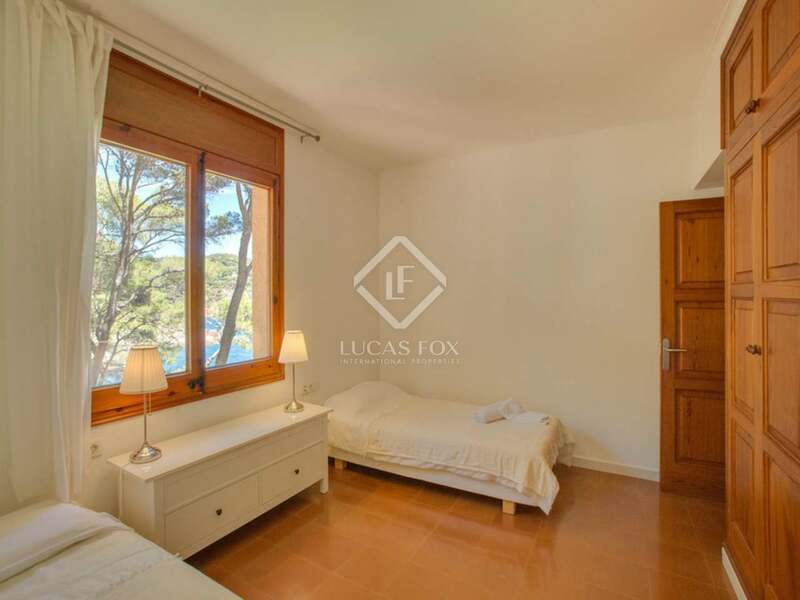 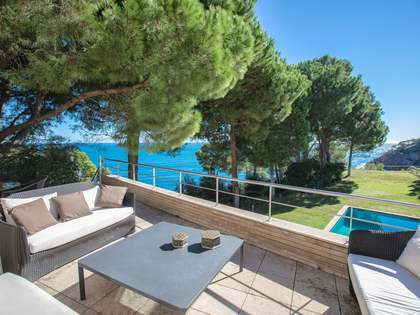 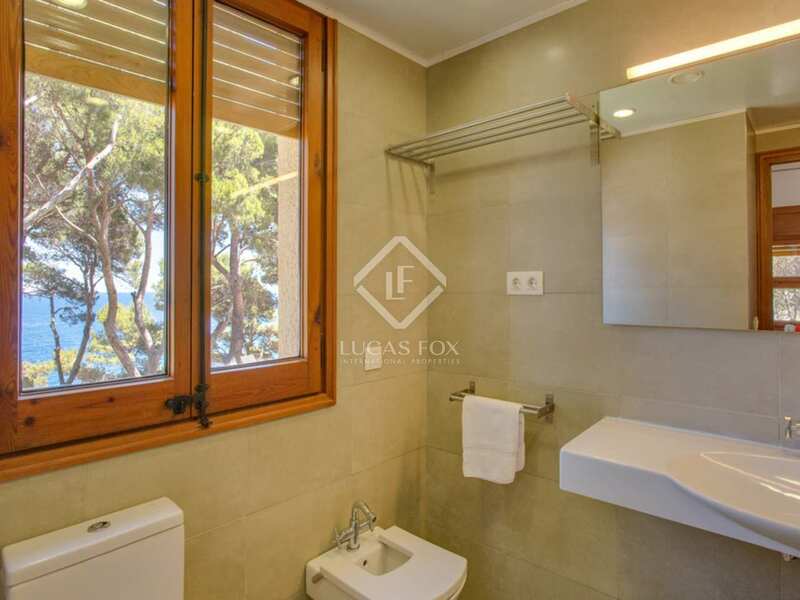 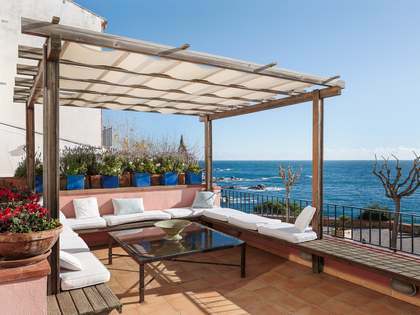 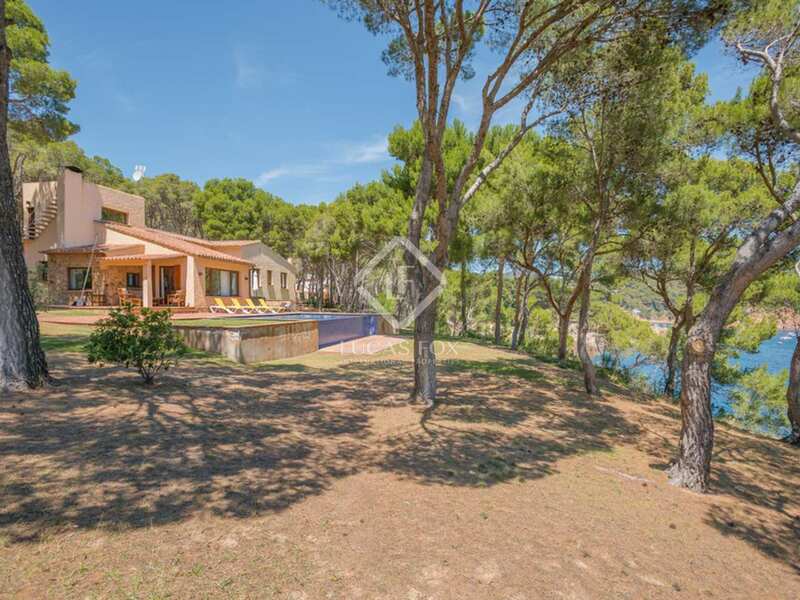 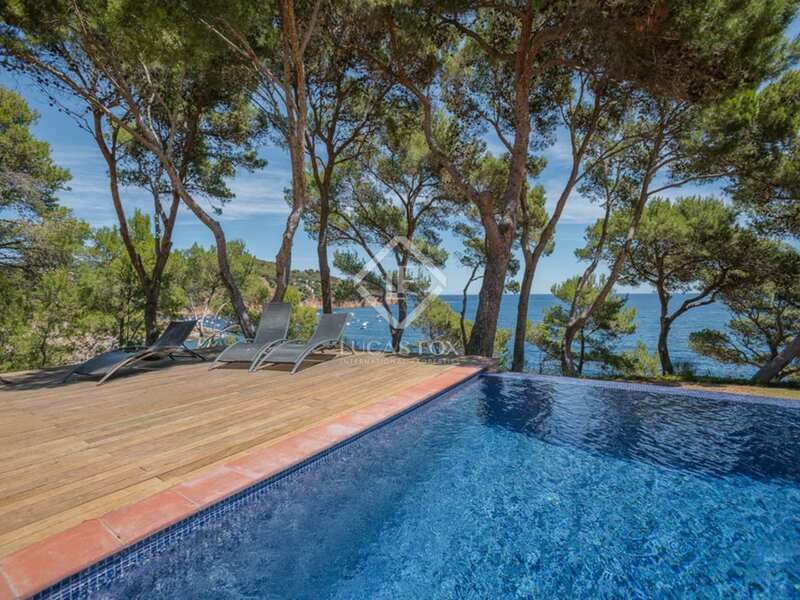 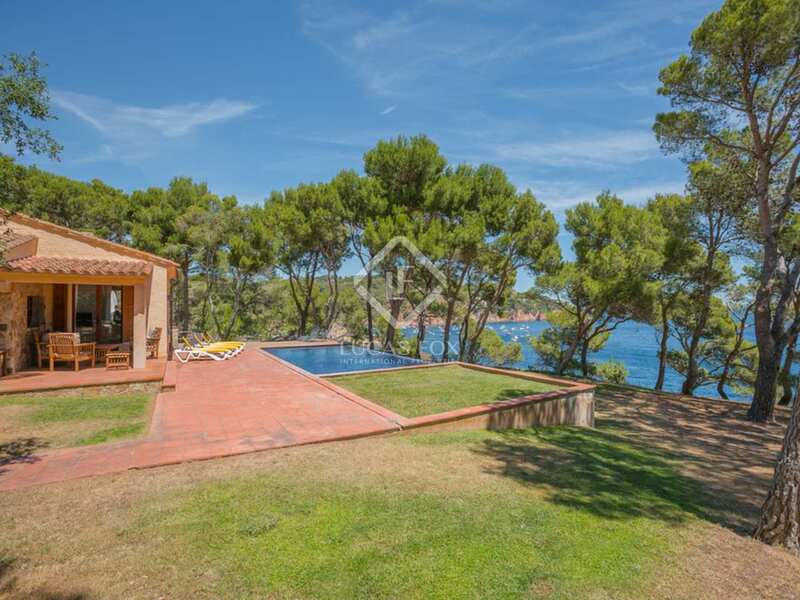 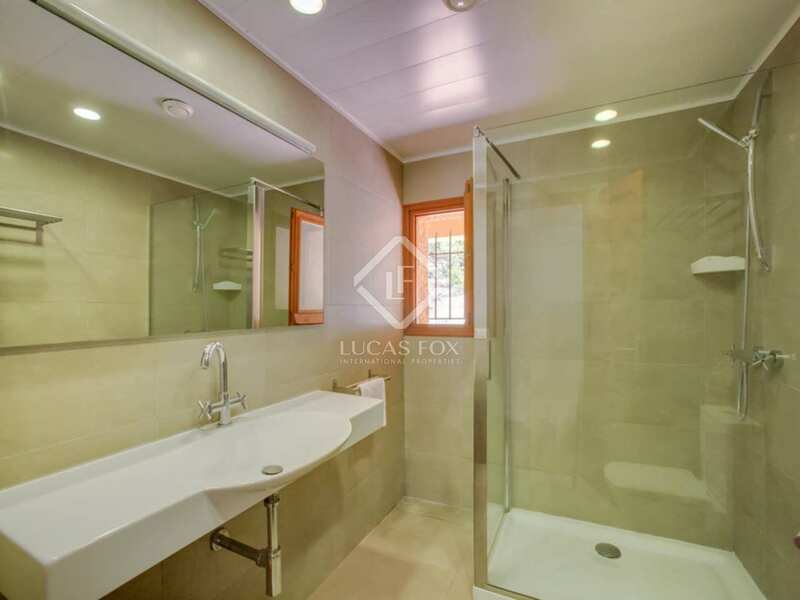 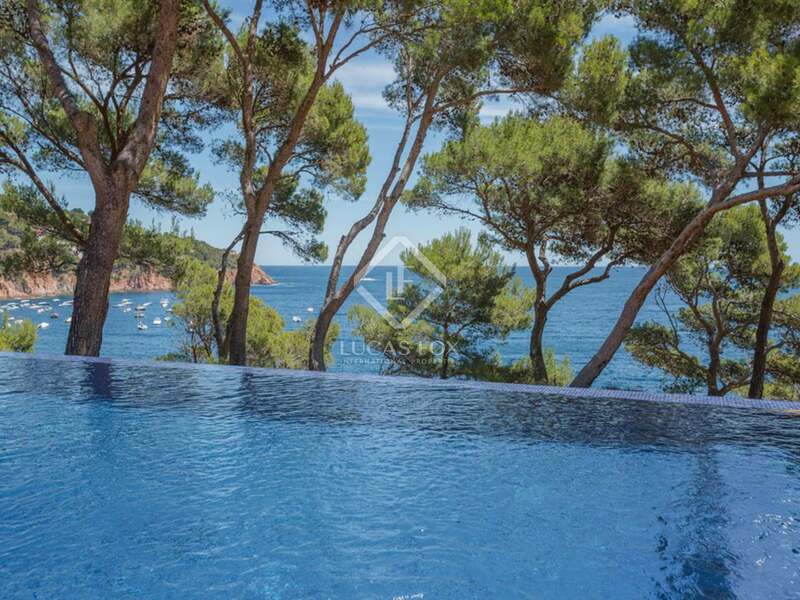 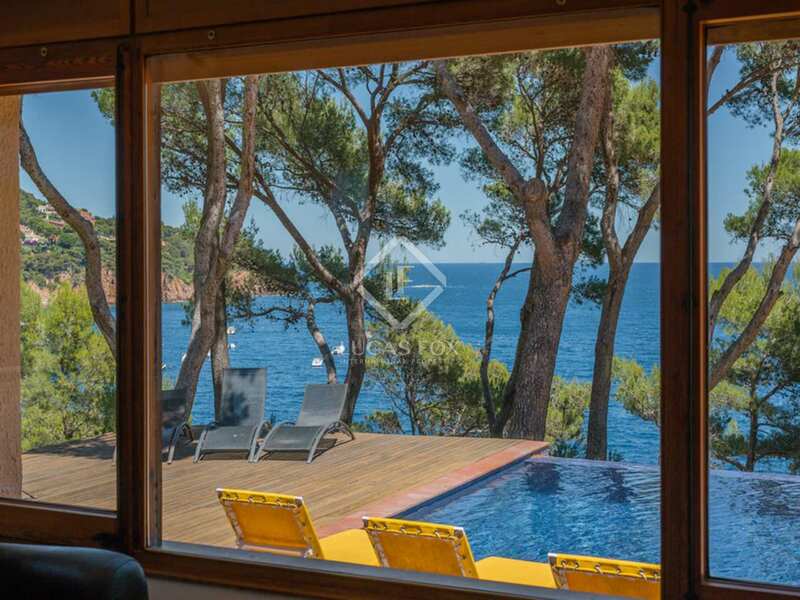 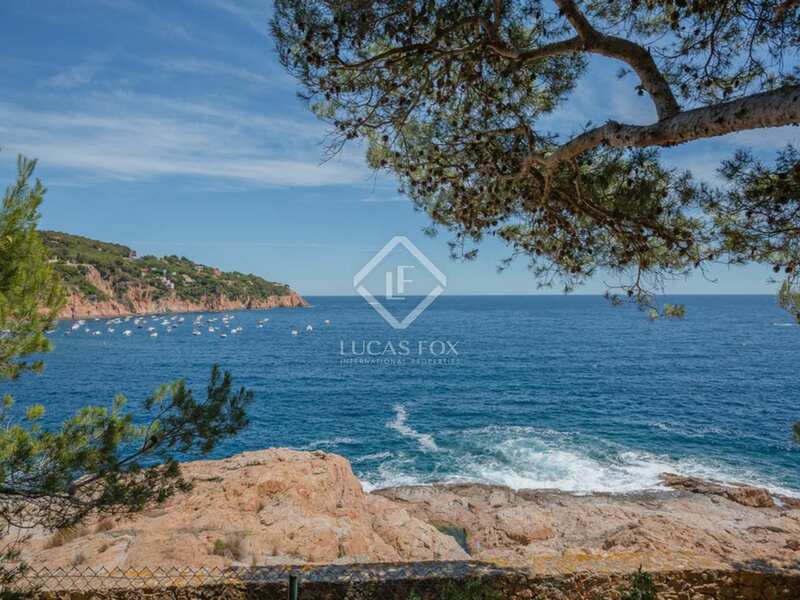 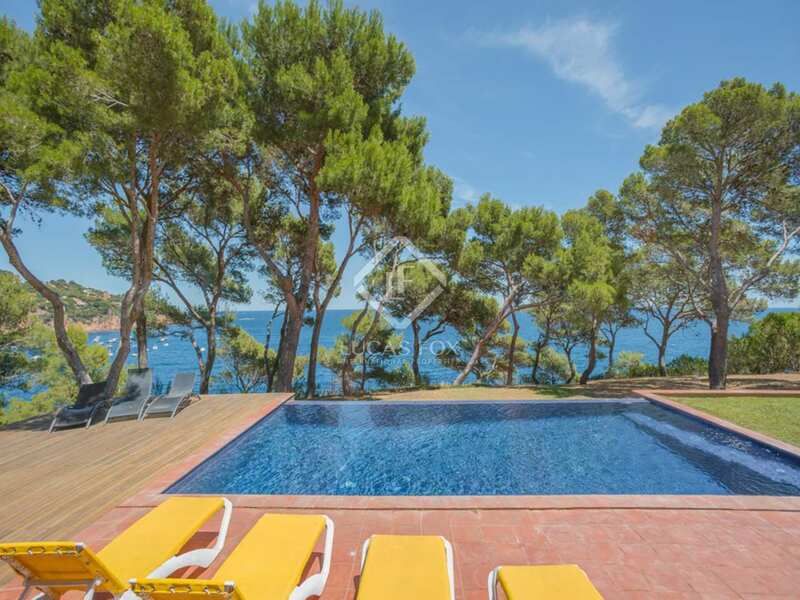 The property is located under the shade of the pine trees in a peaceful, sought-after, location within a few minutes drive of some of the area's standout bays and beaches - including Tamariu, Aiguablava, Llafranc, Calella de Palafrugell and Sa Tuna. 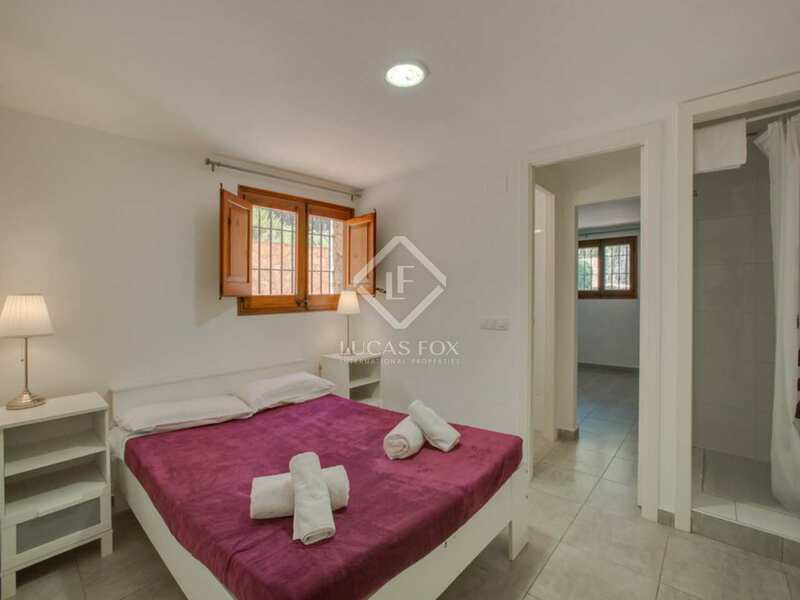 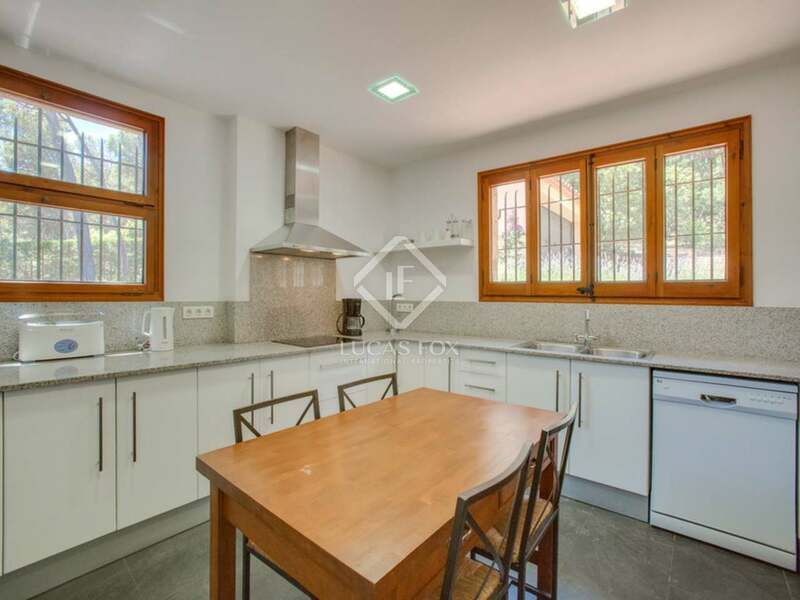 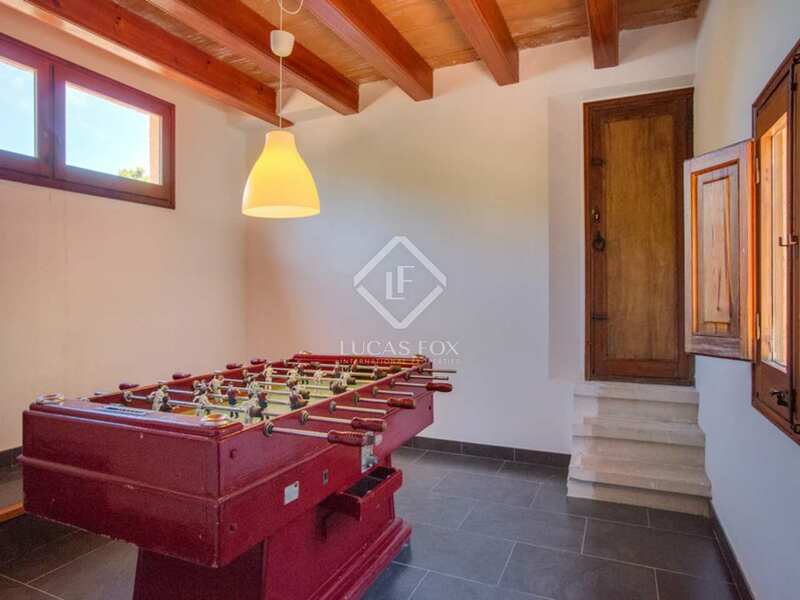 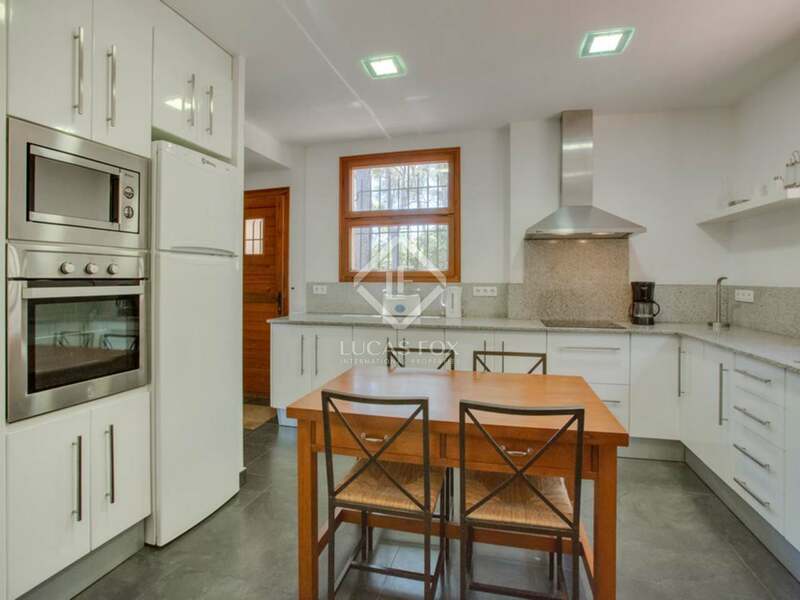 The property is also within a 5-minute drive of the town of Palafrugell with its many shops, cafés, bars and restaurants, and its daily market selling local fresh produce. 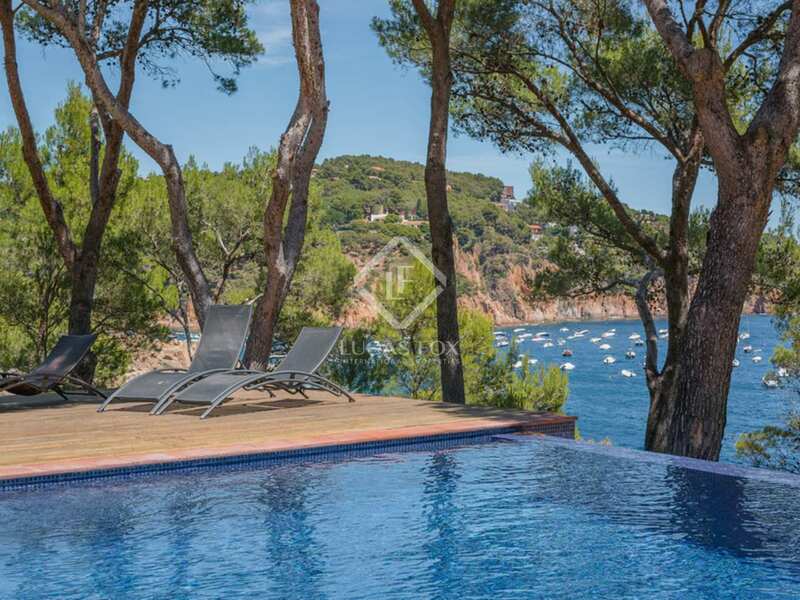 This is an exceptional Tamariu first line property to buy, perfectly located in a stunning, seafront plot in a highly sought-after area of the Costa Brava.